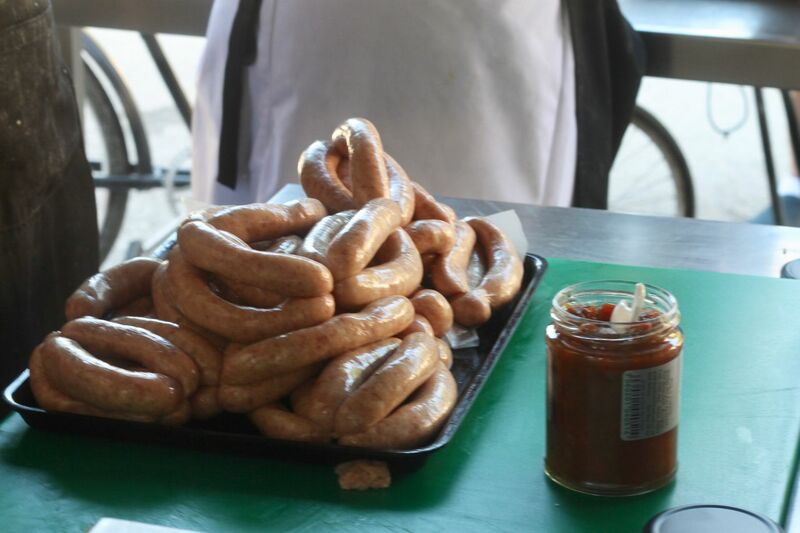 Starring our very own celebrity chef, Stephanie Moon, alongside our in house deli butcher, Grant Baildon, our deli chef, Trevor, and the good people of Helmsley, you’ll find out how our sausages are made, the high quality of the ingredients that goes into them, what makes a proper sausage and how to cook one. Our Helmsley customers were only too happy to give them a taste while Minster FM were filming, but you can give them a go yourself to see if they really are as good as we say (they are, we promise!) by popping down to visit Thomas of Helmsley for our Super Sausage Saturday tasting event on the 4th November, starting at 10am.